Yesterday, I wrote a blog for B&OI’s internal website on community service. It seems we have a lot of people involved in different organizations and causes and that is something that should be acknowledged and celebrated. 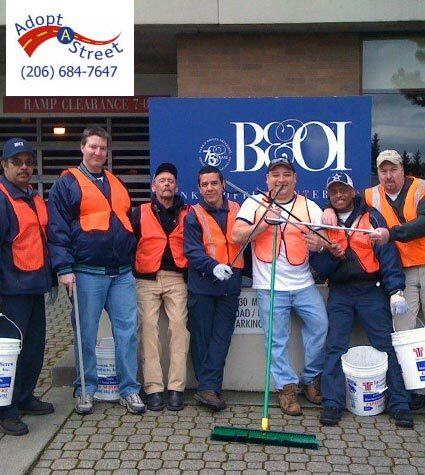 As a company, B&OI donates money to charities, participates in the adopt a street program (our Operations team rocks! ), as well as contributes gift wrapped carts to a local hospital’s children’s holiday party. Individual employees are part of multiple charitable organizations and donate time and effort to making hundreds of lives a little bit better. “I wish I could be involved”, you say to yourself, “but I don’t have the time, money, resources, etc. right now”. You know the amazing thing about getting involved? It doesn’t have to be a huge contribution / time commitment if you don’t want it to be. Giving $10 to a local charity, buying those girl scout cookies, running / walking in a 5k race, donating shoes and lightly used clothing to church groups/ homeless shelters – easy ways to help out without a large burden. When you find you have more time, get involved with charities / organizations that mean something to you. You may find they don’t need board members – just specific events to attend and help out on. It feels good to give back! Have a Washington State Charity you want people to know about? Post it below!